Deer body hair is an essential fly-tying material for tying a wide range of fly patterns including: bass bugs, hopper patterns, and terrestrials. Our deer body hair spins easily to form heads for patterns such a muddlers and can also be used as a winging material for sedge patterns. 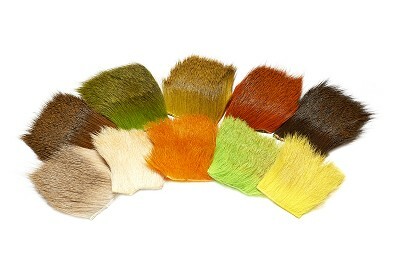 Deer hair available in Black, red, orange, olive and fluorescent chartreuse.